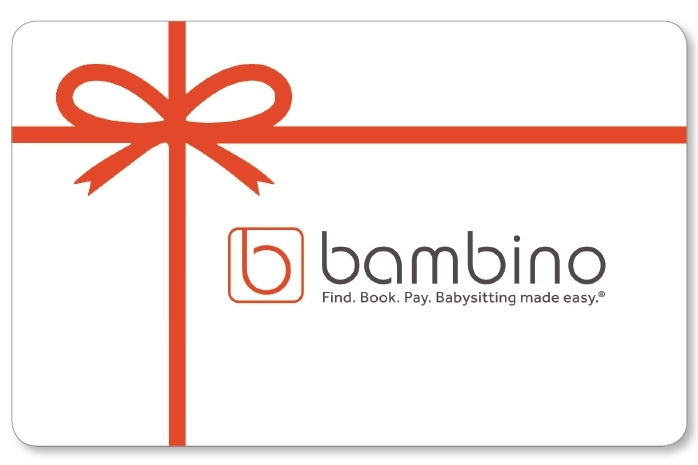 Give the gift of babysitting with a Bambino gift card! Bambino is here to help! A Bambino gift card is the perfect teacher gift, hostess gift, BFF gift or simply a way to show you care when someone is going through a rough patch or particularly busy time in their life. Gift cards come in increments of $50. To purchase a gift card, please fill out the following order form. Cards will be mailed the next business day or an electronic version can be sent for more immediate email sharing. Thank you for using Bambino! Your Phone Number - We will only call you to collect your payment information if it isn't already on file. Are you currently a registered parent with Bambino? Who would you like to send a gift card to? Are they currently a registered parent with Bambino? What message would you like to send with the gift card? Thank you! We will process your order within 24 hours and call you if we have any issues.